A review of United Fidelity Health Insurance Company finds that the company, whose correct name is the United Fidelity Life Insurance Company, is now a subsidiary of the Americo Life Group. 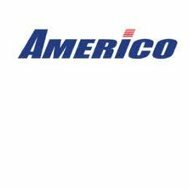 To find out more about Americo, please look at that company’s review on this website. Looking for health insurance rates? Put your zip code into the free toolbox on this page and you’ll get to peruse rates in your area. Instead, this will be a review of the United Life Home Insurance Company, a member of the Indiana Farm Bureau Group based in Indianapolis, Indiana. The United Life Home Insurance Company underwrites life insurance policies for individuals. It is a subsidiary of the United Farm Family Life Insurance Company. United Life Home Insurance Company sells policies for whole life, term life, and accidental death coverage in 44 states and the District of Columbia. Not every policy is available in every state, however. United Life, which has been in business since 1948, sells its policies through independent agents. There are three different types of Express Issue plans, varying on the coverage age, whether the death benefit is lump sum or graded, and the medical questions that potential policyholders must answer. If so, the company may decide that you are better qualified for one of its high-risk whole life policies. United Life Home Insurance Company also sells accidental death benefit term insurance. Even unhealthy people can qualify for this insurance, which also lets policyholders decide whether to have their premiums returned to them after 20 years with the company. There is also a guaranteed doubling of the face value of this policy after 20 years, so customers can use it like a savings account, or use it to help with final expenses once they are gone. The United Life Home Insurance Company sells its products through a network of independent agents. The products do not require blood work or exams from policyholders and potential policyholders, so agents do not have to deal with their customers face-to-face. Instead, agents can do almost all of their business over the phone or the Internet. United Life Home Insurance has a dedicated Internet portal for its agents. While you might like the company’s policies and terms, if as a customer you require a little more one-on-one attention, you might try to seek out an independent agency near you and check if they carry the United Life Home Insurance Company products in their portfolio. If not, and you are not comfortable with working with an agent you only talk to via the phone or Internet, your best bet is to find another life insurance company. The United Life Home Insurance Company has earned an excellent financial strength rating of “A-” from A.M. Best Company, as well as an excellent issuer credit rating of “a-.” The insurance company, which falls into the $10 million to $25 million financial size category, also has a stable outlook, according to A.M. Best. The Better Business Bureau does not accredit united Life Home Insurance, but it has received a grade of “A+” from the consumer advocacy organization. There have been no recent complaints registered with the BBB against United Life Home Insurance Company, or any of its products and services. We were unable to find any complaints or comments about the insurance provider online, which is most likely a good sign. Usually, disgruntled policyholders or the disgruntled family members of policyholders are quite vocal when it comes to voicing their displeasure with an insurance company, and we would likely find complaints if there were any. Life insurance isn’t health insurance. If you still need coverage, type your zip code below and then look through the health insurance quotes from companies besides United Life Home Insurance Company.